It's a terrible thing to kill a wild animal. It's worse to get caught. It's even worse still to be caught by your own camera. 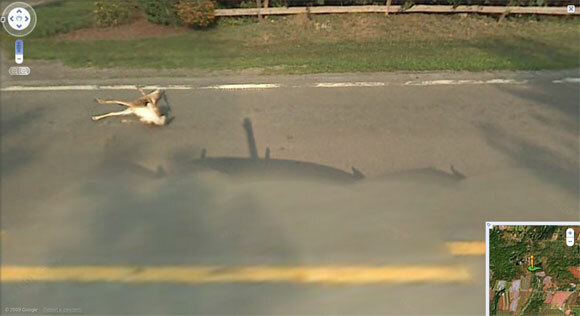 This is exactly what has happened with the Google Streetview car. 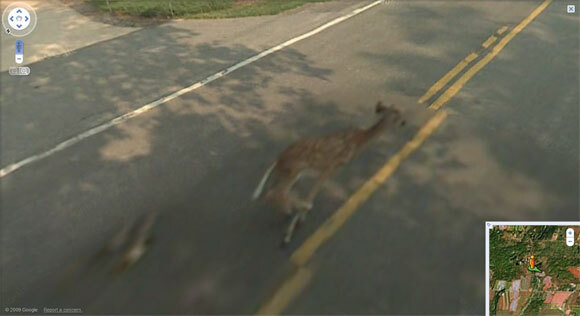 The chappies were doing their thing down Five Points Rd, Rush, New York (yes, New York has crunchy side - it is a state and city) when they obviously spotted the deer entering the road and decided to floor it and see what would happen next. Except they forgot one teensy weensy thing - the fancy recording thingy stuck on the roof of their car. 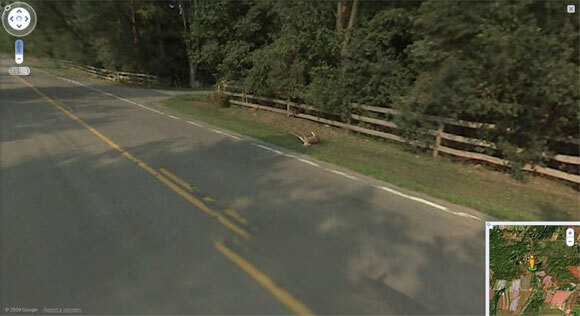 Google have now removed the images from their Streetview for this section of the road, but thanks to some quick thinking peeps, I can bring you the images for your perusal. WARNING: The images in this post contain scenes that may be upsetting to the easily upset or children. Please consider if you are one of these tender types before continuing. 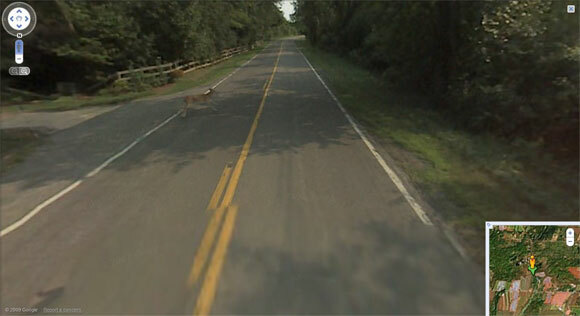 Ooo, look a deer is in the road. Speed up. Getting closer. Do you think we'll hit it? Woohooo!!! We hit it. 10 points!!! Sjoe! He's not in the road causing an obstruction to other motorists. Carry on.